As Apple gears up for the launch of its iPhone 6, with an anticipated initial run of 80 million units, the company has reported a 12.7 percent profit growth for its current model. However, the company also noted that iPad sales fell for the second straight quarter, with unit sales falling 9.2 percent after a 16 percent drop the previous quarter. With a significant jump in iPhone sales internationally, and a move toward bigger-screen models, some are questioning the future of Apple’s tablet. While Apple has experienced consistent growth in recent quarters, the company will likely need to enter new product categories in order to continue such success. 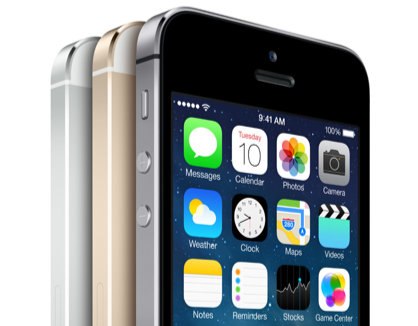 Insiders say that Apple is banking on the larger iPhones and a series of smartwatches to launch later this year. News broke yesterday that Apple was awarded a patent for a smartwatch design called iTime that features sensors, in-strap circuitry, and support for arm and wrist gestures. “The U.S. Patent and Trademark Office served up further evidence on Tuesday that Apple is designing a smartwatch when it awarded the company a patent for a wrist-worn gadget with a touchscreen and ability to communicate with a smartphone,” reports PCWorld.